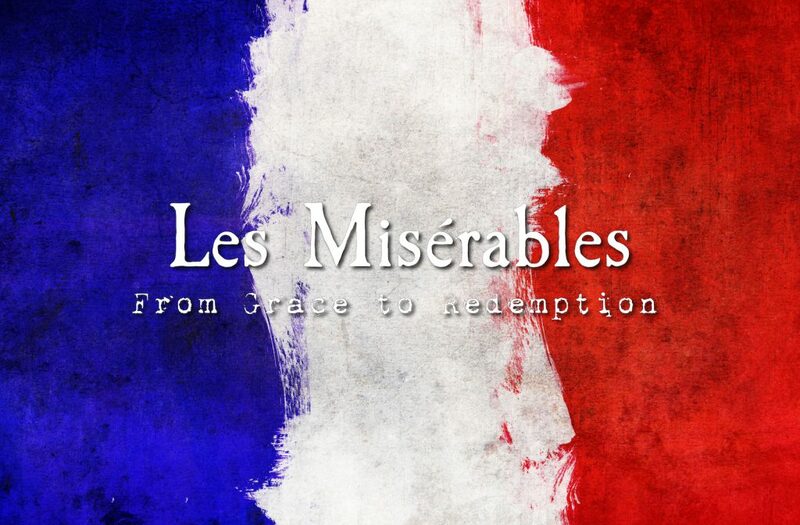 This Sunday we continue our series based on the world-famous musical Les Misérables! This Sunday, we will be graced with a guest speaker! Rev. Lea Booth is the Associate Pastor at La Jolla United Methodist Church, and joins us to explore grace as seen in both scripture and our continuing story of Les Mis. Note: Pastor Lea’s bio can be found a the La Jolla UMC website at this link (scroll down). In the ongoing story of Les Mis, Jean Valjean – in his ongoing despair – faces a return to prison until the Bishop of Digne (in the southeast of France) intervenes in an unexpected way. This story alongside Jesus’ unexpected treatment of Zacchaeus will help us explore grace and how transformation may take place. 1Jesus entered Jericho and was passing through town. 2A man there named Zacchaeus, a ruler among tax collectors, was rich. 3He was trying to see who Jesus was, but, being a short man, he couldn’t because of the crowd. 4So he ran ahead and climbed up a sycamore tree so he could see Jesus, who was about to pass that way. 5When Jesus came to that spot, he looked up and said, “Zacchaeus, come down at once. I must stay in your home today.” 6So Zacchaeus came down at once, happy to welcome Jesus. What is grace to you? What does it feel like? Have you experienced grace? Have you ever had an experience that changed you for the better in a significant way? What happened? How did you change? How does participating in a community of faith help you to see and/or experience grace? Sunday’s message invited us to look at cultural systems and how we have a choice about whether or not to participate in the systems around us. Just as Zacchaeus was called to escape the system of tax collecting and Roman collaboration, we too are called to escape prejudicial systems. Simple ways to do so were referenced in the sermon, including speaking out against jokes that are sexist or racist or homophobic or able-ist. Instead, we may respond like Zacchaeus did – a response that was not a payment for transformation or salvation but a response to transformation and salvation. How have you been transformed by something that seemed small or simple but that changed you in a big way? How did you respond to this change or transformation? Where do you see Divine presence or influence in these circumstances?